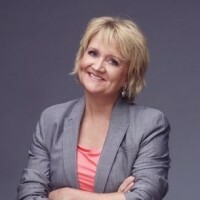 Streaming: Cinedigm’s Dove Channel is the home of the original comedy series Chonda Pierce Presents: Stand-Up For Families. In three one-hour editions, the popular comedian (who also happens to be Christian) displays her trademark combination of fierce wit and southern charm as she plays host other family-friendly comedians including Bone Hampton, Brad Stine, PJ Walsh, Nazareth, Joby Saad, Michael Joiner, Taylor Mason, Anthony Griffith, Sandi Joy, Kay Dodd, Lisa Mills, Chinnitta Morris, Cleto Rodriguez, Michael Jr., and Rik Roberts. Taped in Nashville,the show is meant to be a safe haven for to safely enjoy together without worrying about offensive language or subject matter. Like all content streamed on Dove Channel, the show The Dove Foundation’s Seal of Approval.